Real Madrid are reportedly prepared to offer Gareth Bale a transfer back to Tottenham as part of their bid to sign Christian Eriksen. The Denmark international has long been linked with bigger clubs after shining at Spurs, establishing himself as one of the best creative players in Europe. Eriksen could undoubtedly make a great fit for this struggling Real Madrid side, which looks in need of an overhaul as soon as possible. 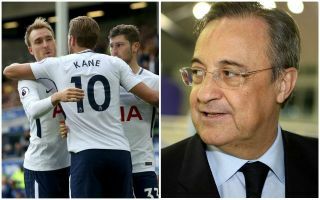 Don Balon claim Los Blancos could try offloading one of their struggling stars in Bale in an attempt to make an Eriksen bid cheaper for them. The report states they would try their luck offering the Welshman alongside a payment of €30million to persuade Tottenham to sell, and it’s easy to see how this could be tempting for the north London side. Eriksen would need replacing and Bale is an ideal attacking player to come in, having been a world class performer during his first spell with the club. That said, he has had his injury problems at the Bernabeu and no longer looks the player he once was, so this admittedly sentimental deal could also carry some risks.